The Crimson Peaks of southwestern Vetia in the Ninth Age, corresponding to the Pyrenees mountain range, is a chance to once and for all correct Warhammer Fantasy's error of having virtually no Dwarf presence at all in the mountains of their version of Iberia, namely Estalia. These wild mountains could be filled with Human highlanders, monsters, Orcs & Goblins, and minor Dwarven Holds. 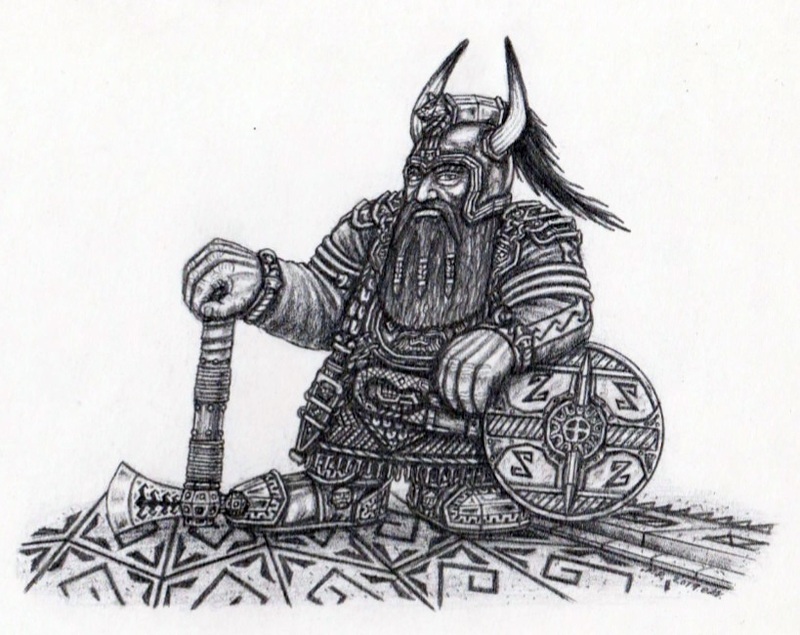 The Dwarrows of the Crimson Peaks could be based on the ancient Celtiberians (connecting to the Celtic basis of many Vetian Dwarves), whose lengthy resistance to Rome finally ended with the great siege of the oppidum Numantia. Like the Dwarven Holds of the Maidens mountain range, the Crimson Peak Dwarves would be on the periphery of Vetian Dwarfkind, yet fully part of this region's culture of shared Dwarven technology, having thus essentially the same equipment for war. The aeshtetic style and dialect of the Crimson Peak Dwarves would however be distinct. Just remember that relentless Dwarves do not even know what siesta is!